Welcome to THE CUPCAKE RACK! Easily create delicious, adorable, affordable, unique, creative, and tasty cupcake bouquets using The Cupcake Rack. Simply insert 19 homemade or store-bought cupcakes into the rings of the rack to create your own delicious display. You will definitely be the hit of the party when you adorn your party with this easy-to-use dessert/centerpiece! Find The Cupcake Rack at one of these locations, or try a little different version, The Tasty Bouquet! Check this out, we made the cover of INVENTORS DIGEST, March 2019 issue. A bit of our story is featured on the inside. So, so honored! Sarah Shaw is a successful and amazing inventor who is now giving back with her consulting business and Podcast; Getting a Street Smart MBA. We are so honored to be on her show! Thank you Sarah! 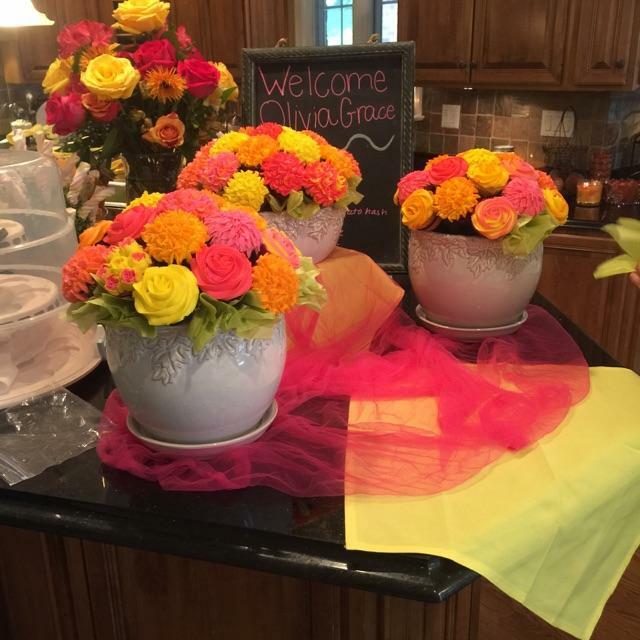 Be the talk of the party when you bring along this gorgeous table centerpiece/dessert/hostess gift! 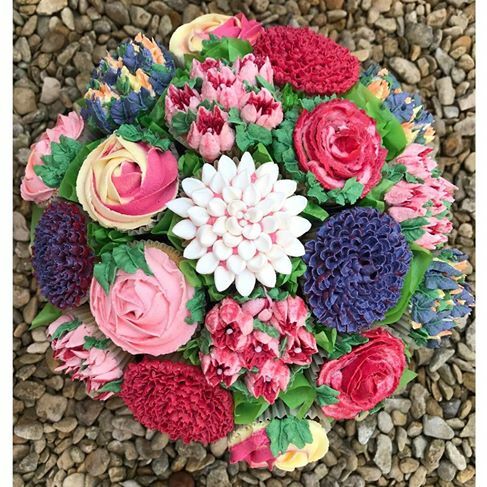 Once your friends figure out that your bouquet is made of CUPCAKES, you will have all the attention you desire! 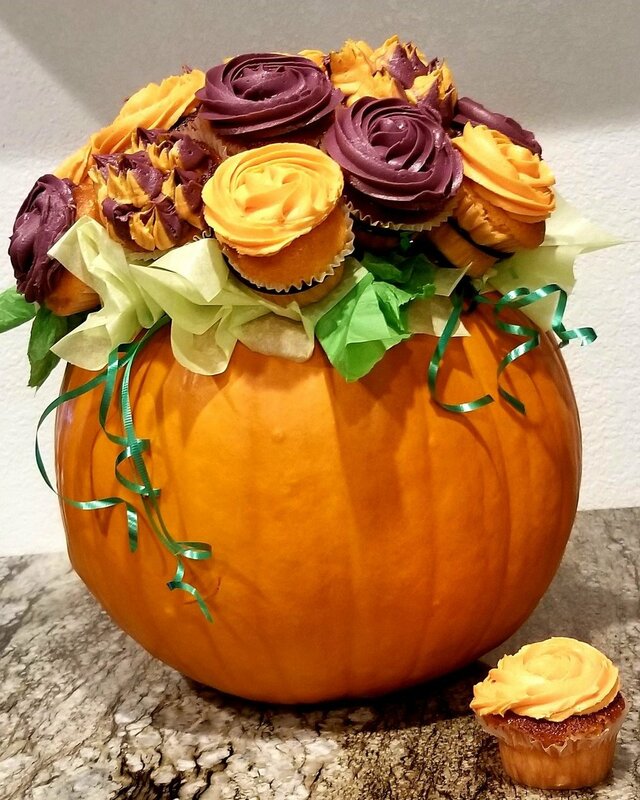 This deliciously adorable bouquet is made by carving out a pumpkin, inserting The Cupcake Rack and 19 cupcakes, along with some tissue and ribbon! Easy and oh so beautiful! 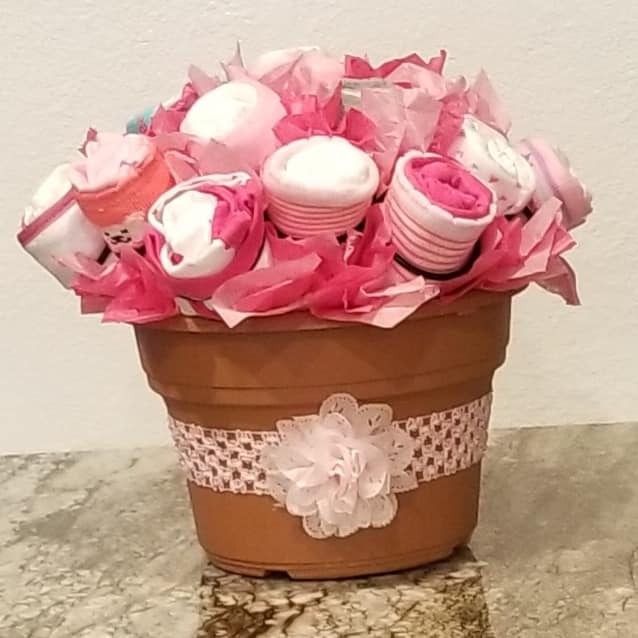 Be the hit of the next Baby Shower when you bring this adorable Diaper, Onesie, Sockie, and Washcloth Bouquet using The Cupcake Rack. 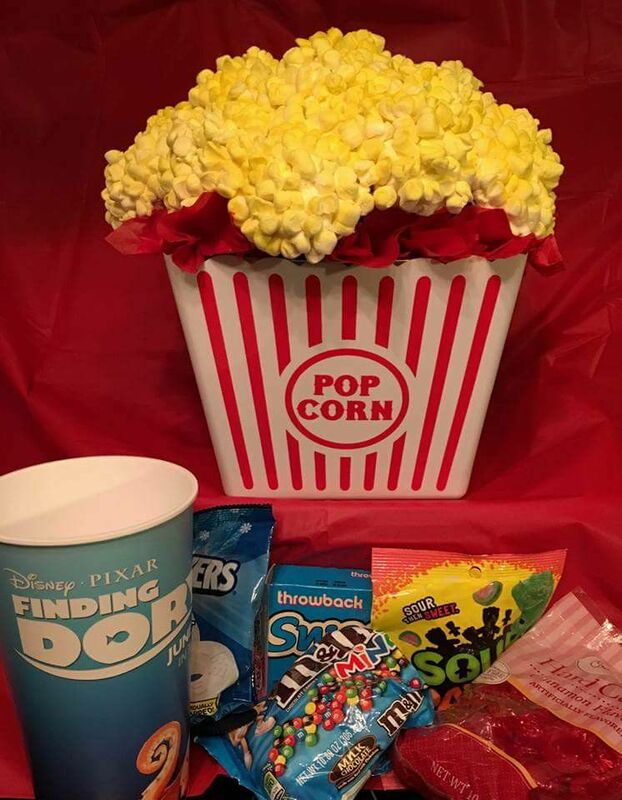 It's super fun and easy to make and your new momma will LOVE it! 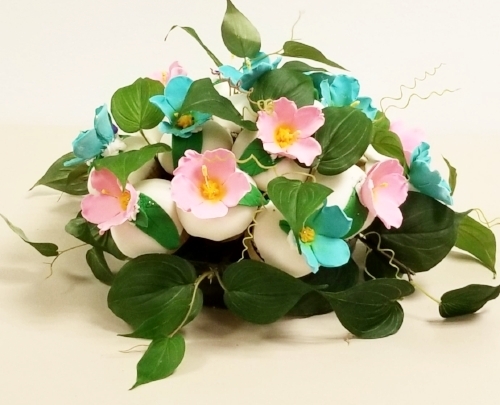 Create a deliciously adorable cupcake bouquet in only 5 minutes! 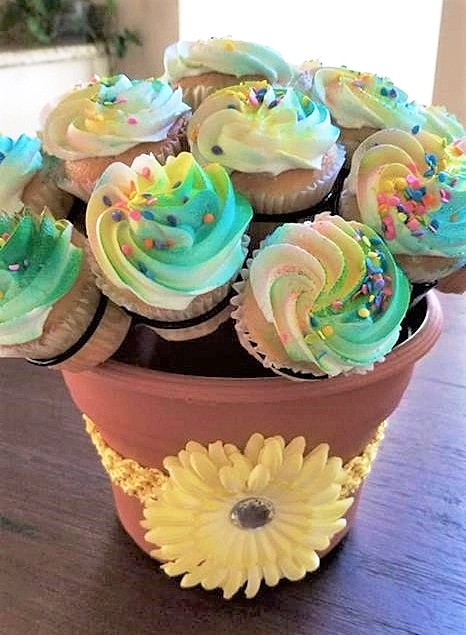 Wrap a decorative band around the base of a flower pot (in this case we used our plastic terra cotta colored pot), place The Cupcake Rack into the flower pot, and insert 19 store-bought cupcakes (we bought 24 cupcakes at Winco in Citrus Heights for less than $12!) into the rings of The Cupcake Rack! It's that easy! Anyone can look like a professional when using The Cupcake Rack! below we give our 60 second pitch to two hsn execs to see if we make it on air! MSNBC your business with jj ramberg and hsn partnered to find new products for hsn American dreams. Will we get the thumbs up? The Cupcake Bouquet we used during our pitch on MSNBC Your Business with JJ Ramberg to HSN Execs! Easily create deliciously adorable cupcake bouquets by inserting 19 homemade or store-bought cupcakes into the versatile, durable, and affordable Cupcake Rack. The Cupcake Rack is a perfect gift and doubles as a centerpiece and dessert! 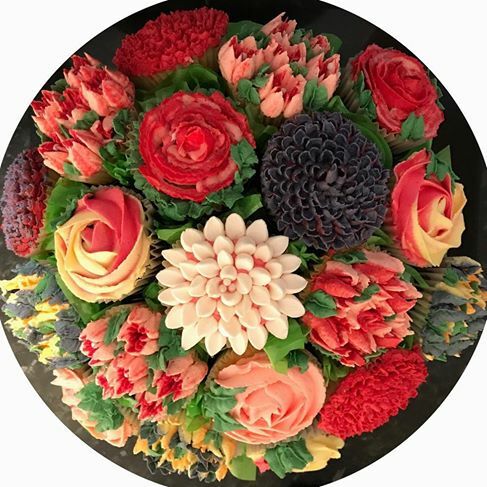 View our commercial below by clicking the arrow to see how easy it is to create a deliciously unique and beautiful cupcake bouquet! In a hurry? 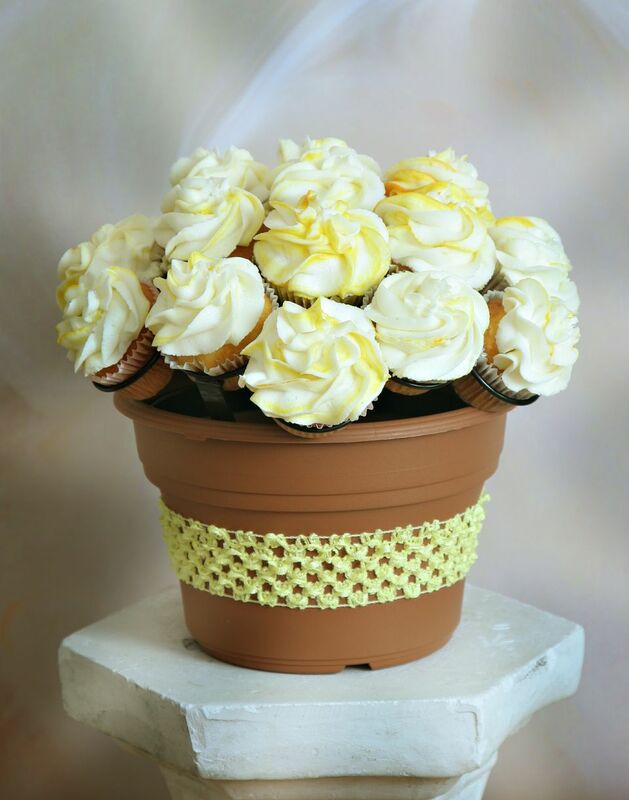 Use cupcakes from the bakery or grocery store to make your cupcake bouquet! Fun day shooting our commercial for The Cupcake Rack! Just for fun... click on our Blooper video!